Pharmacogenomics is the branch of pharmacology and genomics that deals with the influence of genetic variation on drug response in patients by correlating molecular expressions and single-nucleotide polymorphisms with a drug's efficacy or toxicity. Pharmacogenomics aims to develop rational means to optimize drug therapy, with respect to the patients' genotype, to ensure maximum efficacy with minimal adverse effects. Such approaches promise the advent of "personalized medicine"; in which drugs and drug combinations are optimized for each individual's unique genetic makeup. Pharmacogenomics is the whole genome application of pharmacokinetics, which examines the single gene interactions with drugs. Pharmacogenomics has a high potential to revolutionize cancer therapy. Some of the examples of genetic variations in drug metabolizing enzymes and drug targets described appear to play major roles in influencing drug efficacy or toxicity. In addition to the single gene variations described above, identification of genetic profiles to subtype the breast cancer and to identify the prognosis by microarray analysis has shown great promise towards individualized cancer therapy. Pharmacogenomics is the study of how an individual's genetic inheritance affects the body's response to drugs. The term comes from the words pharmacology and genomics and is thus the intersection of pharmaceuticals and genetics. INTRODUCTION: Pharmacogenomics holds the promise that drugs might one day be tailor-made for individuals and adapted to each person's own genetic makeup. Environment, diet, age, lifestyle, and state of health all can influence a person's response to medicines, but understanding an individual's genetic makeup is thought to be the key to creating personalized drugs with greater efficacy and safety. Pharmacogenomics combines traditional pharmaceutical sciences such as biochemistry with annotated knowledge of genes, proteins, and single nucleotide polymorphisms. Pharmacogenomics is the study of a patient's genes to predict response to drugs and hence select the right drug and the right quantity.Pharmacogenomics is the study of genetic variations between individuals to predict the risk of toxic side effects and the probability that a patient will respond to single- or multidrug chemotherapy. Breast cancer remains one of the most common cancers among women worldwide and is second only to lung cancer in cancer related death. A better understanding of the mechanisms of initiation and progression of breast cancer is needed for early diagnosis and development of better therapeutic methodologies. Differences in cancer patients' responses to chemotherapy have often been attributed to pathogenesis and severity of the disease, drug interactions, patient's age, gender, nutritional status, organ functions and tumor biology. It is now well recognized that genetic variations in drug target genes, disease pathway genes and drug metabolizing enzymes can have greater influence on drug efficacy and toxicity. In addition, germ line variants can be used to study breast cancer susceptibility, as well as the variable response to both drug and radiation therapy used in the treatment of breast cancer. This review discusses clinically relevant individual gene variations that influence breast cancer susceptibility and cancer therapy, as well as the microarray-based expression profiling studies that have great potential in cancer pharmacogenomics in terms of tumor classification, drug and biomarker discovery and drug efficacy testing 1, 2, 4. More Powerful Medicines: Pharmaceutical companies will be able to create drugs based on the proteins, enzymes, and RNA molecules associated with genes and diseases. This will facilitate drug discovery and allow drug makers to produce a therapy more targeted to specific diseases. This accuracy not only will maximize therapeutic effects but also decrease damage to nearby healthy cells 4, 6. Instead of the standard trial-and-error method of matching patients with the right drugs, doctors will be able to analyze a patient's genetic profile and prescribe the best available drug therapy from the beginning. Not only will this take the guesswork out of finding the right drug, it will speed recovery time and increase safety as the likelihood of adverse reactions is eliminated. Pharmacogenomics has the potential to dramatically reduce the estimated 100, 000 deaths and 2 million hospitalizations that occur each year in the United States as the result of adverse drug response. More Accurate Methods of Determining Appropriate Drug Dosages: Current methods of basing dosages on weight and age will be replaced with dosages based on a person's genetics- how well the body processes the medicine and the time it takes to metabolize it. This will maximize the therapy's value and decrease the likelihood of overdose. Advanced Screening for Disease: Knowing one's genetic code will allow a person to make adequate lifestyle and environmental changes at an early age so as to avoid or lessen the severity of a genetic disease. Likewise, advance knowledge of particular disease susceptibility will allow careful monitoring, and treatments can be introduced at the most appropriate stage to maximize their therapy. Better Vaccines: Vaccines made of genetic material, either DNA or RNA, promise all the benefits of existing vaccines without all the risks. They will activate the immune system but will be unable to cause infections. They will be inexpensive, stable, easy to store, and capable of being engineered to carry several strains of a pathogen at once. Improvements in the Drug Discovery and Approval Process: Pharmaceutical companies will be able to discover potential therapies more easily using genome targets. Previously failed drug candidates may be revived as they are matched with the niche population they serve. The drug approval process should be facilitated as trials are targeted for specific genetic population groups --providing greater degrees of success. The cost and risk of clinical trials will be reduced by targeting only those persons capable of responding to a drug. Decrease in the Overall Cost of Health Care: Decreases in the number of adverse drug reactions, the number of failed drug trials, the time it takes to get a drug approved, the length of time patients are on medication, the number of medications patients must take to find an effective therapy, the effects of a disease on the body (through early detection), and an increase in the range of possible drug targets will promote a net decrease in the cost of health care 4, 6, 9. Uses of Pharmacogenomics: To a limited degree. The cytochrome P450 (CYP) family of liver enzymes is responsible for breaking down more than 30 different classes of drugs. DNA variations in genes that code for these enzymes can influence their ability to metabolize certain drugs. Less active or inactive forms of CYP enzymes that are unable to break down and efficiently eliminate drugs from the body can cause drug overdose in patients. Today, clinical trials researchers use genetic tests for variations in cytochrome P450 genes to screen and monitor patients. In addition, many pharmaceutical companies screen their chemical compounds to see how well they are broken down by variant forms of CYP enzymes. Another enzyme called TPMT (thiopurine methyl transferase) plays an important role in the chemotherapy treatment of common childhood leukemia by breaking down a class of therapeutic compounds called thiopurines. A small percentage of Caucasians have genetic variants that prevent them from producing an active form of this protein. As a result, thiopurines elevate to toxic levels in the patient because the inactive form of TMPT is unable to break down the drug. Today, doctors can use a genetic test to screen patients for this deficiency, and the TMPT activity is monitored to determine appropriate thiopurine dosage levels 12, 13, 14. Barriers to Pharmacogenomics Progress 5, 6: Pharmacogenomics is a developing research field that is still in its infancy. Several of the following barriers will have to be overcome before many pharmacogenomics benefits can be realized. Complexity of Finding Gene Variations that affect Drug Response: Single nucleotide polymorphisms (SNPs) are DNA sequence variations that occur when a single nucleotide (A, T, C, or G) in the genome sequence is altered. SNPs occur every 100 to 300 bases along the 3-billion-base human genome, therefore millions of SNPs must be identified and analyzed to determine their involvement (if any) in drug response. Further complicating the process is our limited knowledge of which genes are involved with each drug response. Since many genes are likely to influence responses, obtaining the big picture on the impact of gene variations is highly time-consuming and complicated 16, 17, 19. Limited Drug Alternatives: Only one or two approved drugs may be available for treatment of a particular condition. If patients have gene variations that prevent them using these drugs, they may be left without any alternatives for treatment. Disincentives for Drug Companies to make Multiple Pharmacogenomics Products: Most pharmaceutical companies have been successful with their "one size fits all" approach to drug development. Since it costs hundreds of millions of dollars to bring a drug to market, will these companies be willing to develop alternative drugs that serve only a small portion of the population. Educating Healthcare Providers: Introducing multiple pharmacogenomics products to treat the same condition for different population subsets undoubtedly will complicate the process of prescribing and dispensing drugs. Physicians must execute an extra diagnostic step to determine which drug is best suited to each patient. To interpret the diagnostic accurately and recommend the best course of treatment for each patient, all prescribing physicians, regardless of specialty, will need a better understanding of genetics 16, 18. Importance in Pharmacogenomics: Pharmacogenomics is a new area of medicine that uses the data emerging from the sequencing of the human genome to predict drug responses and to identify new targets for treatment. Pharmacogenomics is of particular relevance to depression, which is a common and complex disorder of unknown cause for which prediction of treatment response and identification of new targets for therapeutics is of crucial importance. Pharmacogenomics is an emerging branch in pharmacology and deals with the genetic basis of drug response and toxicity in patients. The terms come from the word pharmacology and genomics whereas pharmacogenetics incorporates the discipline of biochemistry and pharmacology and refers to the study of inherited variation in drug metabolism and response and correlates with phenotypic biomarkers. Pharmacogenomics deals with the information about the genomic techniques such as DNA sequencing, gene mapping and bioinformatics to allow the researcher to identify the actual genetic basis of inter-individual and inter racial variation in drug efficacy, metabolism and transport. When a drug enters the body it reacts with numerous proteins, enzymes and receptors. These proteins determine all pharmacological response. Multiple polymorphisms in many genes may affect drug response, requiring a genome wide search for the responsible genes. Currently emphasis has been given to design drugs which will act against a particular disease at genomic level of the individual so that a positive desired outcome can be achieved with minimum adverse effects. So far the pharmaceutical companies design drugs which are like a free size garment i.e. “one size fits all” system but in reality it, does not work. Sometimes it produces various disastrous effects that are responsible for one lac deaths in United States and cost the country an estimated $100 billion per year. Adverse Drug Reactions (ADR’s) ranked as the fifth cause of death in United States. This technique will introduce a dimension to individualize medicine and enable to develop personalize therapy – “a therapy with the right drug at the right dose in the right patient”. Now with the help of technical innovation such as DNA micro array and micro fluidic analytical devices have enabled the process of DNA, sequencing and gene mapping required for genomic research. This procedure will allow the patients to be prescreened for specific relevant polymorphism before drug therapy is initiated. Polymorphism is generally defined as variation in DNA sequence that occurs in at least 1% of the population. The vast majority of polymorphism is single nucleotide polymorphism or SNP’s (pronounced “snips”). There are millions of one letter variations known as SNP (Single nucleotide polymorphisms). A subset of these variations provide crucial link to disease producing genes which also pinpoint the location of such a disease related gene and thus it can be used as a diagnostic tool. What makes SNPs helpful is that certain SNPs are found sprinkled throughout the population, so that by looking at the DNA of individuals who share. Pharmacogenomics is essentially involved with improvement in patient care. It is concerned with genetic effects on drugs themselves and with the genetic variance that contribute to the variable effects of drugs in different individuals. The application of genome based techniques has broadened the opportunity for identifying genetic effects on drug action. Variances in genes accounting for variance in drug action are already being studied. Diagnostic tests are being developed to evaluate efficacy and safety of drugs in various individuals so as to help the physician decide the best drug and dose for his patient while minimizing adverse drug reactions. The use of a patient’s genetic data to inform decisions related to diagnostic and prognostic health care represents the ultimate achievement of 50 years of genomic research. The technology to realize this vision has emerged and continues to evolve. An emerging vision of the future involves deriving patient-specific genomic data before birth, which includes an exhaustive sampling of genomic information. In this envisioned future, genetic data will be periodically updated throughout a patient’s lifetime on a tissue-specific basis to screen for genetic changes associated with age-related diseases. 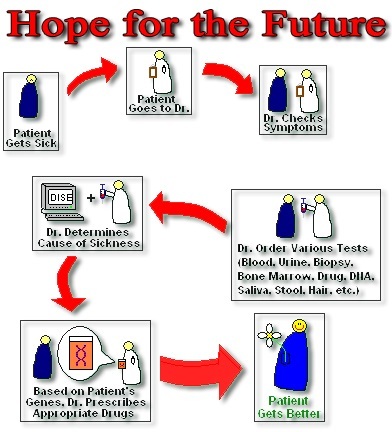 A patient’s genotypic data will be further integrated with dedicated databases/warehouses harboring genetically linked health and adverse drug response risk information that will be utilized at the point of care for patient-specific therapeutic interventions 19, 20, 21. Composition: The composition of isolated nucleic acid sequence, isolated protein and small molecules can be claimed. A patent application has to comply with the requirements for utility, novelty and non-obviousness. 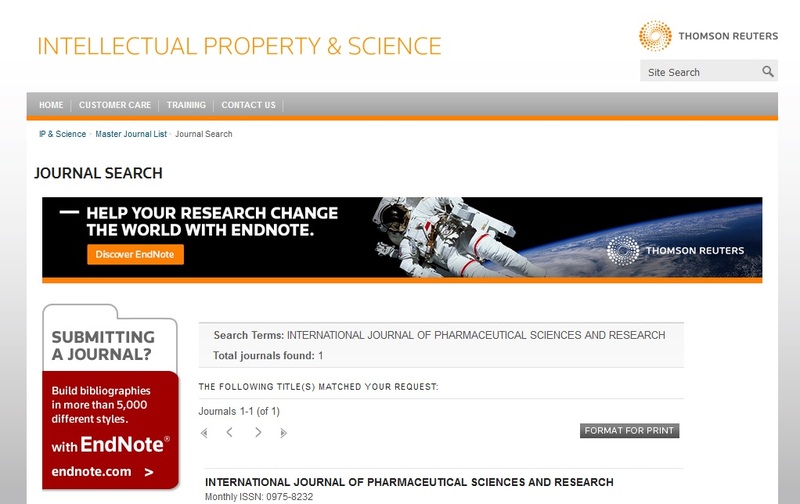 Further, the patent application must also comply with requirements for written description, enablement and best mode. For example, one has not shown utility if one claims a nucleic acid sequence that may be used as a gene probe, a primer in PCR, a chromosome marker or an antigen generator since such utility is applicable to virtually any nucleic acid sequence. However, if the function of the gene is known and its utility is understood then claiming the DNA, as a gene probe, would be valid. Further, if the gene function is known and the utility is accepted then a homologous DNA sequence would comply with the utility requirements and could be claimed. Even if a portion of this homologous gene was previously published as an expressed sequence tag (EST), the patenting of this homologous gene still complies with the novelty requirement. While a single nucleotide polymorphism or a nucleic acid sequence containing such a variation can not be claimed, if such a variation proved useful as a marker for a disease state or for drug metabolism, the composition could be claimed. The written description requirement is the greatest hurdle for patenting of composition in inventions. In an age where “describing a method of preparing a cDNA or even describing the protein that the cDNA encodes. …does not necessarily describe the cDNA itself” one can be sure that the written description requirement is very strictly enforced 23, 24, 26. 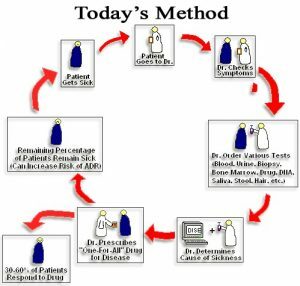 Methods: Patenting methods that aid in the acquisition of pharmacogenomic data such as screening and genotyping methods is standard practice. Further, methods used in the diagnosis and treatment of subjects based on pharmacogenomic knowledge are also patentable. Interestingly, methods for management of complex data from pharmacogenomic studies such as a method for integrating clinical, diagnostic, genomic and therapeutic data is patentable. Finally, methods for pharmacogenomics-based clinical trial design meet the criteria for patentability. Social Implications: There are social and economic drivers for the development of pharmacogenomic treatments, as well as cultural framings of such treatments- as ‘designer drugs’- which fit well with contemporary beliefs in the unique power of genetic information in healthcare. At present, many of the promises of pharmacogenomics remain unfulfilled, yet it seems likely that pharmacogenomics will act as one of the key vectors bringing genetic testing and genomic medicine into the clinic, with consequence ranging from the confidentiality of information, through legal obligations of physicians and rights of patients, to population stratification and issues of the racialization of medicine. Further, while health policy-makers often believe that pharmacogenomics will reduce health service costs by maximizing efficacy of prescribing and minimizing the costs of adverse events, it is not yet possible to evaluate such beliefs. Indeed the reverse may be the case; as such developments may lead to pressures on health services to prescribe new and expensive drugs developed, licensed and marketed alongside genetic tests, in preference to older and much cheaper generic treatments. I have tried to suggest that an assessment of the implications of pharmacogenomics needs to examine not merely the traditional bioethical issues of informed consent, autonomy and confidentiality, but also these more general social, economic and political implications of the development of genetically based treatments in psychiatry 25, 27. 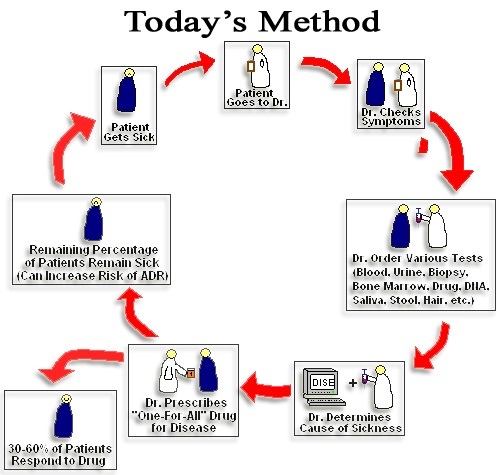 Future of Pharmacogenomics: To detect the effect of a gene variant that explains 5% of the total phenotypic variation in a quantitative response to a drug by typing 100 independent SNPs would require 500 patients to provide an 80% chance of detection assuming an experiment-wide false-positive rate of 5%.The behavior of most drugs will be influenced by a wide range of gene products(DMEs, transporters, targets, and others), and in many cases the importance of polymorphisms in one of the relevant genes might depend on polymorphisms in other genes. As a simple example, CYP1A2 and N-acetyl transferase 2 act in different stages in the pathway that metabolizes compounds in burnt meat. Variants might interact to influence the risk of colorectal cancer. The polymorphisms indicate that regulatory variants have a far more important role in variable drug response than they do in Mendelian diseases. Genomics is defined as the comprehensive study of the whole set of genes, gene products and their interactions. Pharmacogenomics (PG) can be considered as the study of pharmacologically relevant genes, the way they manifest their variations, how these variations interact to produce "phenotypes”, and how these phenotypes affect drug response. By increasing ability to identify patients with risk for severe toxicity, or those likely to benefit from a particular treatment, PG is surely leading towards individualized cancer therapy. The aim of personalized medicine or individualized treatment is to match the right drug to the right patient. Significant heterogeneity in the efficacy and toxicity of chemotherapeutic agents was observed. The goal of PG is to check the genetic background of a patient in order to ensure that the prescribed drugs are effective and free from side effects. The ultimate goal of cancer PG is to develop diagnostic test predictive of therapeutic response, identifying patients who will respond well to specific treatment and those with high risk for severe drug induced toxicity'. Pharmacogenomics: The study of how variations in the human genome affect the response to medications. The older term "pharmacogenetics" was created from the words "pharmacology" and "genetics" to indicate the intersection of pharmaceuticals and genetics. The sequencing of the human genome and the introduction of new technologies have made it possible to analyze multiple genes simultaneously, rather than one at a time. The newer term "pharmacogenomics" describes such large-scale, often genome wide approaches. Pharmacogenomics may permit drugs to be tailor-made for individuals and adapted to each person's own genetic makeup. Environment, diet, age, lifestyle, and state of health all can influence a person's response to medicines, but understanding an individual's genetic makeup is thought to be the key to creating personalized drugs with greater efficacy and safety. Pharmacogenomics combines traditional pharmaceutical sciences such as biochemistry with annotated knowledge of genes, proteins, and single nucleotide polymorphisms. Pharmacogenomics is the study of how an individual's genetic inheritance (his/her genome) affects the body's response to drugs. The term "pharmacogenomics" comes from the words pharmacology and genomics and is thus the intersection of pharmaceuticals and genetics 28, 29. In the past, doctors prescribed drugs based on "guesses" made from the observation of the patient's visible symptoms (i.e. rashes, swelling, joint pains, muscle pains, etc). However, these "guesses" were not always accurate and some patients remained sick after taking their full prescription. 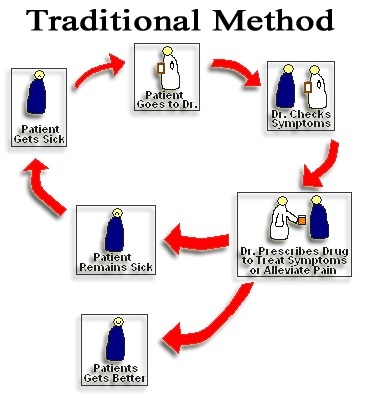 Today, doctors prescribed drugs based on facts and test results that determine the patient's disease. However, there are some flaws in the system. Only 30-60% of drug prescriptions is effective for patients, while the rest of the population experiences no effect or raise their changes of adverse. With the development and application of pharmacogenomics, individuals hope that in the future, not only will doctors be able to accurately determine the cause of a disease, but prescribe drugs catered to a patient's genes to create a near 100% effectiveness in attacking a patient's disease. CONCLUSION: Pharmacogenomics holds the promise that drugs might one day be tailor-made for individuals and adapted to each person's own genetic makeup. Environment, diet, age, lifestyle, and state of health all can influence a person's response to medicines, but understanding an individual's genetic makeup is thought to be the key to creating personalized drugs with greater efficacy and safety. Pharmacogenomics combines traditional pharmaceutical sciences such as biochemistry with annotated knowledge of genes, proteins, and single nucleotide polymorphisms. Pharmacogenomics is the use of DNA technology to develop new drugs and optimize current drug treatment to individual patients. For example, the interaction of a drug with a specific protein can be studied and then compared to a cell in which a genetic mutation has inactivated that protein. Its potential is to tailor drug therapy to an individual's genome, a tailoring that could reduce adverse drug reactions and increase the efficacy of drug treatment. Pharmacogenomics is the whole genome application of pharmacogenetics, which examines the single gene interactions with drugs l's unique genetic makeup. Lazarou, B. H. Pomeranz, and P. N. Corey. Incidence of adverse drug reactions in hospitalized patients: a meta-analysis of prospective studies. JAMA. Apr 15, 1998. 279(15):1200-5. Hodgson and A. Marshall. Pharmacogenomics: will the regulators approve? Nature Biotechnology. 16: 243-246. 1998. Pistoi. Facing your genetic destiny, part II. Scientific American. 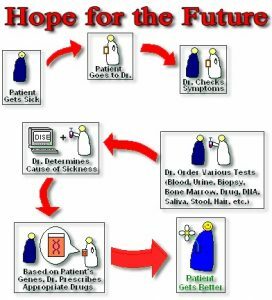 February 25, 2002.Issa, A.M. (2000) Ethical considerations in clinical pharmacogenomics research. Trends inPharmacological Science 21, 247-9. Licinio J, Wong ML (eds. ), Pharmacogenomics: The Search for Individualized Therapies. Wiley-VCH, Weinheim, Germany, 2002, ISBN: 3-527-30380-4. Wong M-L, Licinio J. Research and treatment approaches to depression. Nature Reviews Neuroscience 2001; 2:343-351. Licinio J, Wong M-L. Clinical implications: The pharmacogenomics of depression. The Pharmacogenomics Journal 2001; 1:175-177. Wong M-L, Hannestad JP, Licinio, J. Pharmacogenomics of Antidepressants: Drug Discovery, Treatment, and Ethical Considerations. The Economics of Neuroscience2002; 4:32-36. Licinio J, Alvarado I, Wong M-L. Will pharmacogenomics guide clinical practice? The Pharmacogenomics Journal 2002:2.71. Encyclopedia Dictionary of Genetics, Genomics, and Proteomics (2nd Edition) by George P. Redei. 1024 pp., 2003. Pharmacogenomics: Social, Ethical, and Clinical Dimensions, edited by Mark Rothstein. 384 pp., 2003. Pharmacogenomics: The Search for Individualized Therapies, edited by Julio Licinio and Ma-Li Wong. 600 pp., 2002. 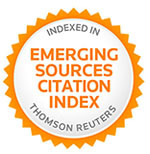 McCarthy JJ, Hilfiker R. The use of single-nucleotide polymorphism maps in pharmacogenomics. Nat Biotechnology. 2000; 18:505-508. .Veenstra DL, Kollman PA. Modeling protein stability: a theoretical analysis of the stability of T4 lysozyme mutants. Protein Eng. 1997; 10: 789-807. Israel E, Drazen JM, Ligget SB, et al. The effect of polymorphisms of the beta (2)-adrenergic receptor on the response to regular use of albuterol in asthma. Am J Respir Crit Care Med. 2000; 162: 75-80.